Music is the fulfillment of Richie’s destiny – it’s in his DNA. The youngest person ever inducted into the Pittsburgh Jazz Hall of Fame, bassist Richie Goods got an early start playing in church and clubs while still attending Pittsburgh Creative and Performing Arts High School. 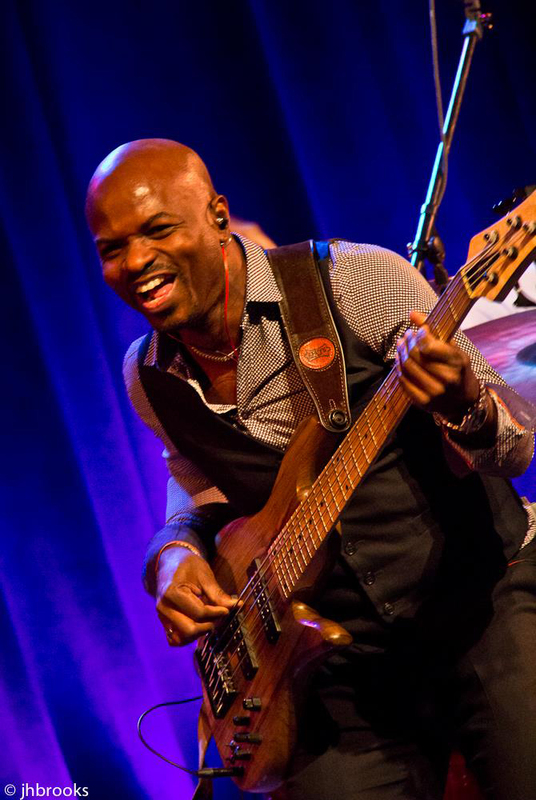 After graduating from the prestigious jazz program at Berklee College of Music, Richie moved to New York City, where he studied under jazz legends Ron Carter and Ray Brown. Richie credits jazz luminary Mulgrew Miller for helping him hone his jazz skills early in his career. Richie toured and recorded with Mulgrew for nine years. That opportunity brought Richie to the attention of many in the jazz community and afforded him the opportunity to record and tour with a variety of jazz and popular artists ranging from the Headhunters, Lenny White, Louis Hayes and the Cannonball Adderley Legacy Band, Milt Jackson, Russell Malone, Vincent Herring, the Manhattan Transfer and Walter Beasley to Brian McKnight, DJ Jazzy Jeff & the Fresh Prince, Whitney Houston and Christina Aguilera. Richie’s lengthy discography also includes Grammy award-winning and platinum albums of Alicia Keys and Common. 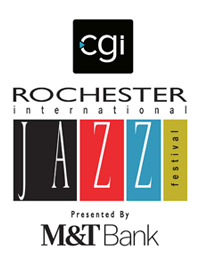 Richie most recently toured with Grammy-winning trumpeter, Chris Botti. When not on tour, he can be found in his Westchester, NY studio, producing records for his company, RichMan Music, Inc. His first solo project with his fusion/funk band, “Richie Goods and Nuclear Fusion, Live at the Zinc Bar” and his latest release, “Three Rivers” received critical acclaim. Richie is busier and more excited than ever, touring and working on a new recording which will feature more of his acoustic bass work. Look for it in 2018. “RICHIE GOODS AND NUCLEAR FUSION – THREE RIVERS” is a project I’ve nurtured for the last couple of years, writing six new compositions, arranging some fabulous but obscure pieces and finding just the right performers to deliver my vision for this work. And deliver they do! Billie Kilson on drums, best known for his work with Dave Holland and Chris Botti, wows with rousing rhythms and a deft touch. Australian born guitarist Ben Butler, another Berklee alum and Chris Botti bandmate, provides both excitement and subtle sensitivity where called for. Accomplished composer and solo recording artist Andy Ezrin displays versatility and ingenious keyboard artistry on each cut. I am thrilled that vocalists Shayna Steele and Sy Smith lent their incredible gifts to this CD. I’ve long been a fan of Shayna and I knew her expressive voice was perfect for “Sightless Bird”. And what can I say about my roadie, Sy Smith. Her passionate rendition of “Hope She’ll Be Happier With Him” creates an intensity that captivates until the very last note. And finally, I am so proud to have the brilliance of Grammy winning trumpeter Chris Botti on this recording! His remarkable and easily recognizable trumpet tone is on a level of its own. Whether its an emotional rendering of the Star Spangled Banner or What a Wonderful World or Emmanuel, Chris’ warm tones touch your very soul and his interpretation of “Four Kings”, one of my original compositions, exceeded my expectations in every way. Making this record was a labor of love and this ensemble of extraordinary musicians excite and electrify. THREE RIVERS is an eclectic and moving musical experience. It’s me, getting back to my musical roots – unbound – unfettered – free. My hope is you will enjoy listening to it as much as I enjoyed creating it! When I decided to put together the Goods Project, I knew I needed the right components to get that perfect balance. Each band member was carefully selected for not only their skill but also for their passion for the music. The personnel in The Goods Project changes from time to time but one thing remains constant. The energy is truly explosive, igniting the stage and exciting the audience in one beautiful chain reaction. The best way I can describe what moves through me as we play is that Holy Ghost feeling you get after a good sermon in church. It’s an energy that is so much more than any of us individually. That’s how good music is made.